This is a recipe that started off as “what can I make from what is in my refrigerator”, but we liked it so much that it is now a regular feature on our menu. Turkey can be a bit boring, but served this way it is almost exciting. 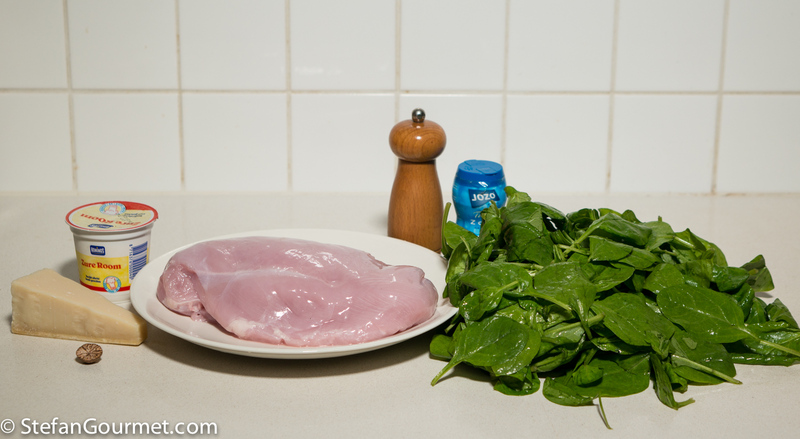 The combination with the tender and juicy turkey breast with the creamy spinach works very well. This original dish is easy to make. 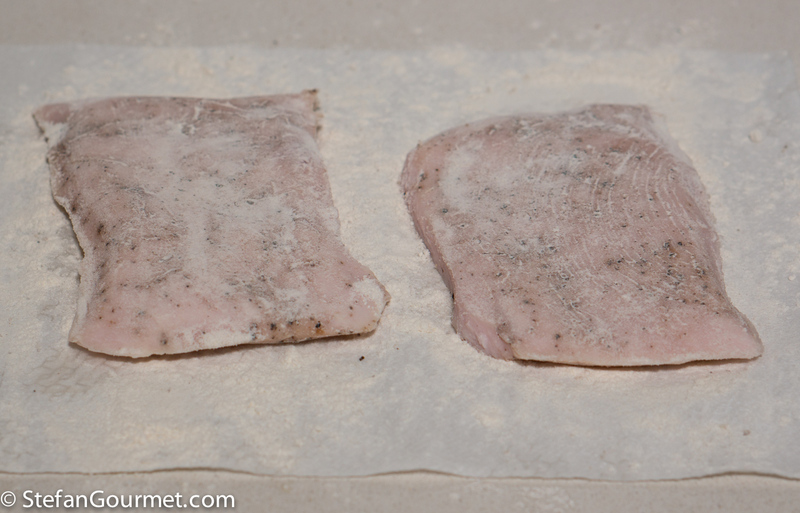 Season two turkey slices of 150 grams each with salt and freshly ground black pepper on both sides. 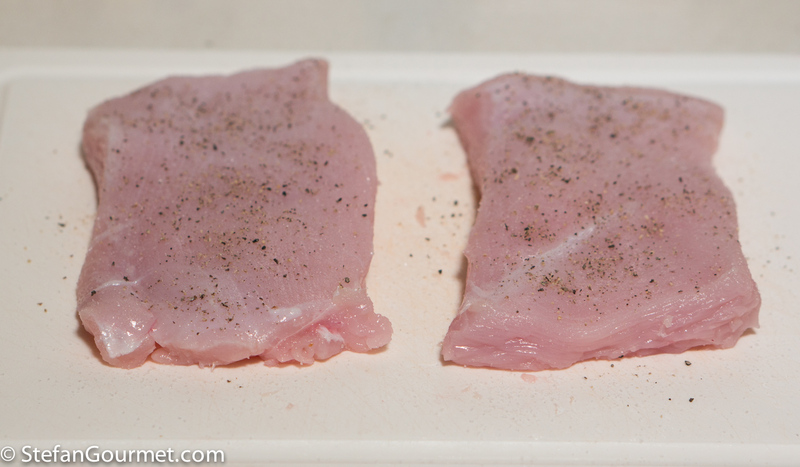 Optional step: cook them sous-vide at 56C/133F for one hour. 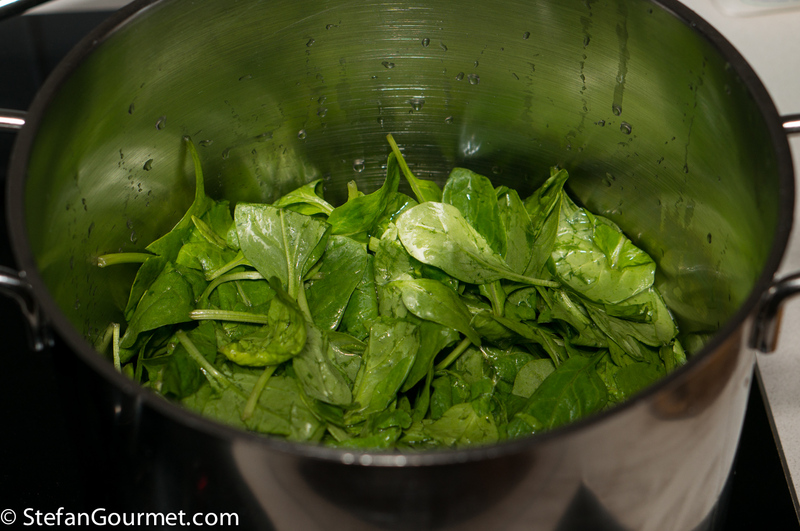 In the meantime, wash 300 grams of spinach and put it in a pot with the water that clings to the leaves. Cover and bring to a boil, then lower the heat and boil for 5 minutes. 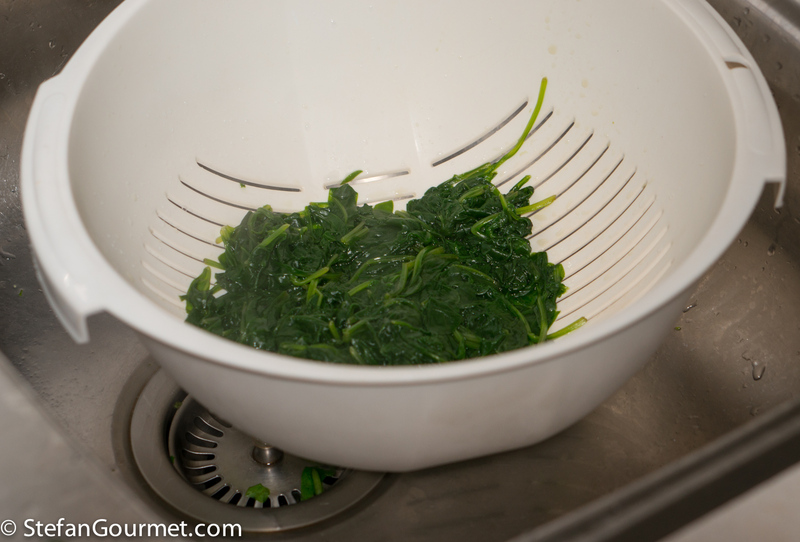 After 5 minutes, the spinach should be wilted and much reduced in volume. 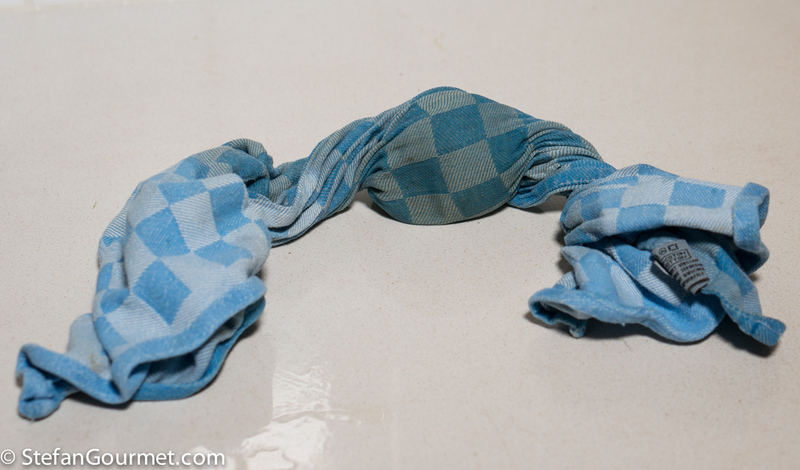 …and squeeze it dry in a tea towel (by turning the ends into opposite directions). 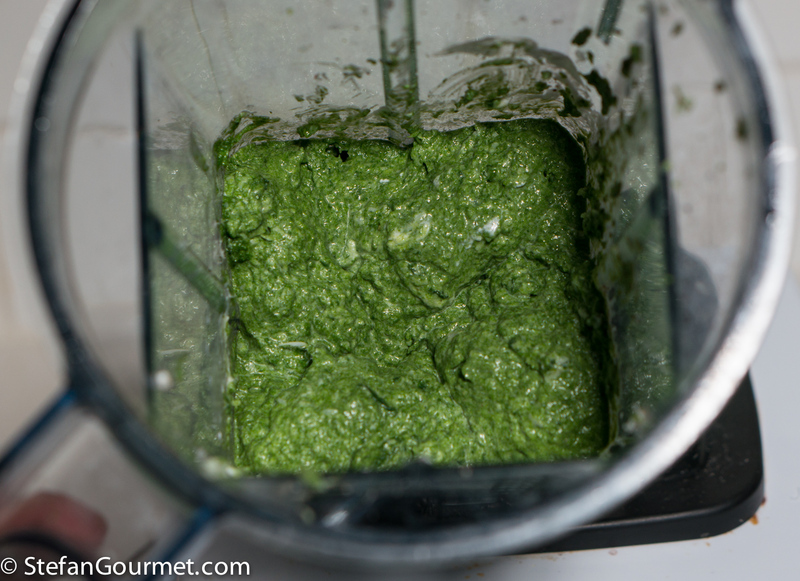 Put the spinach in a blender with 50 grams of freshly grated parmigiano, 60 grams of crème fraîche, and a dash of freshly grated nutmeg. Blend until smooth. Season to taste with salt and freshly ground black pepper (blending briefly to incorporate the seasoning). 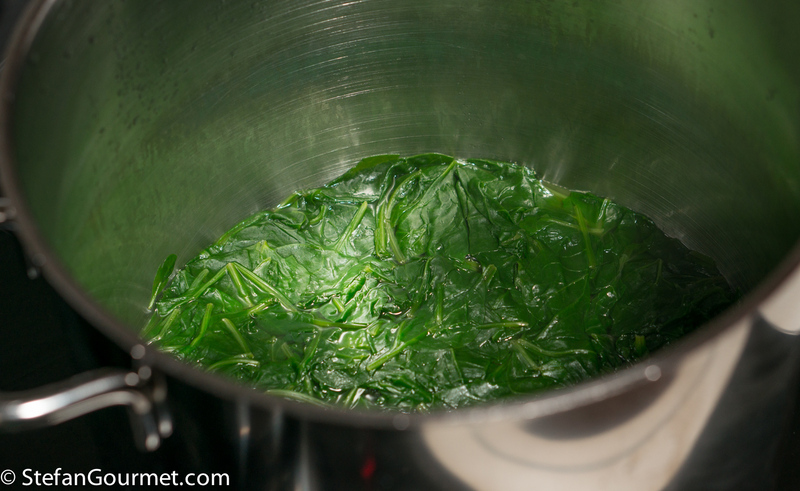 Transfer the spinach cream to a saucepan and heat it up over low heat, stirring regularly. 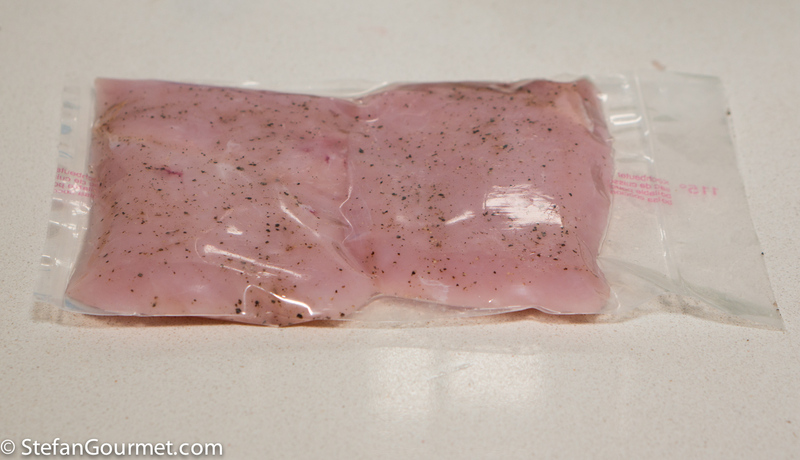 If you cooked the turkey slices sous-vide, take them out of the bag and pat them dry with paper towels. Heat 2 tablespoons of olive oil in a non-stick frying pan. If the turkey was precooked sous-vide, cook very briefly over high heat until slightly golden. Remember the turkey is already cooked through. 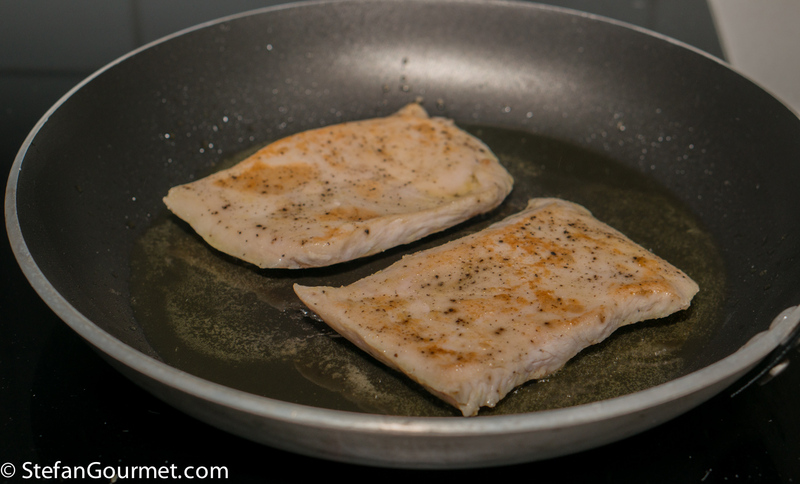 Otherwise, cook over medium heat, flipping frequently, until just cooked through. 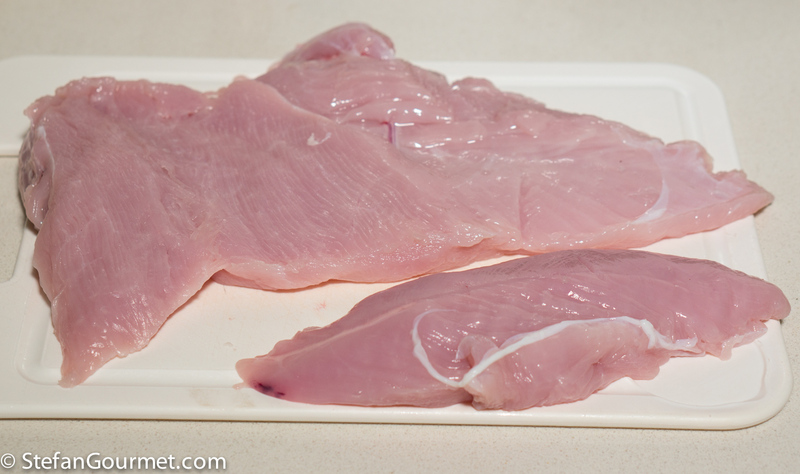 Please do not overcook the turkey breast, as it will become tough and dry if you do. 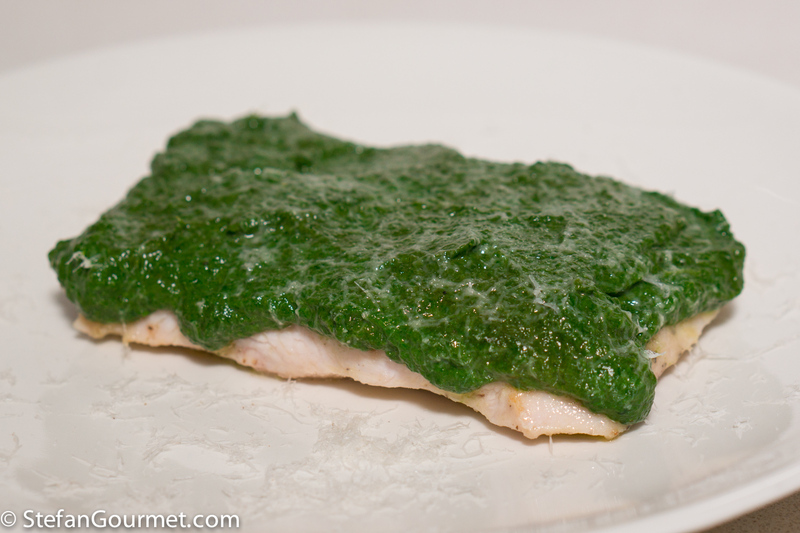 Cover the turkey slices with the spinach cream and serve on preheated plates. 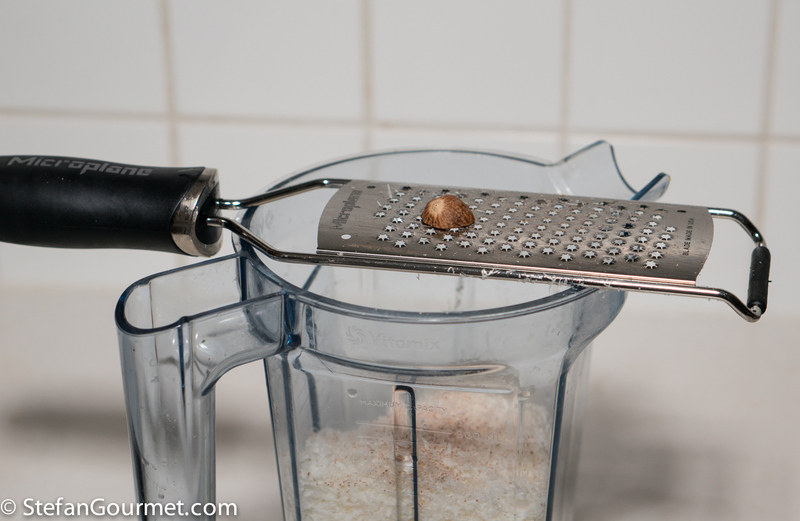 Garnish with freshly grated parmigiano, if you wish. 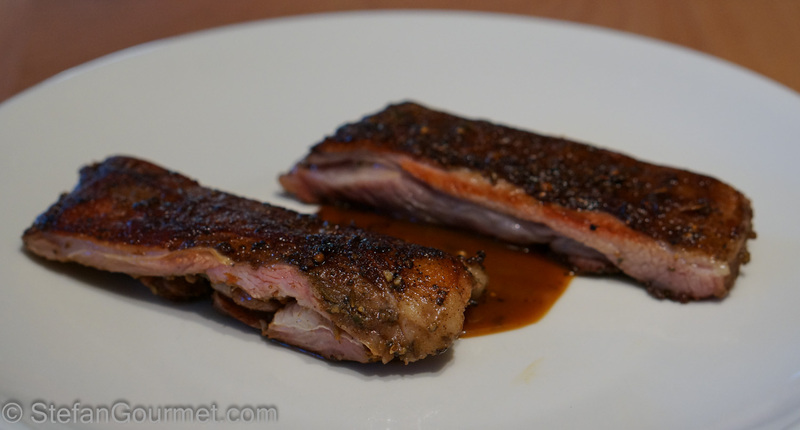 Breast of lamb is an unusual cut of lamb, but cooked sous-vide it is great. It is the same cut as pork belly, but obviously much thinner (and for some reason usually called breast instead of belly). Molto interessante! 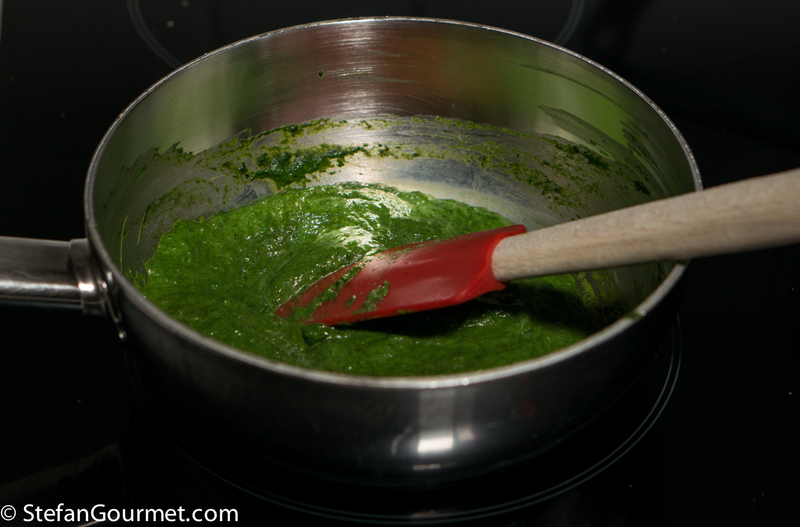 Mia moglie adora gli spinaci cremosi con la carne. Suggerisco però cuocere gli spinaci senza acqua, ne contengono già in abbondanza. Basta un filo di olio o burro! Per questo avevo solo usato l’acqua “aderente”. Ma sicuramente olio o burro potrebbe funzionare. 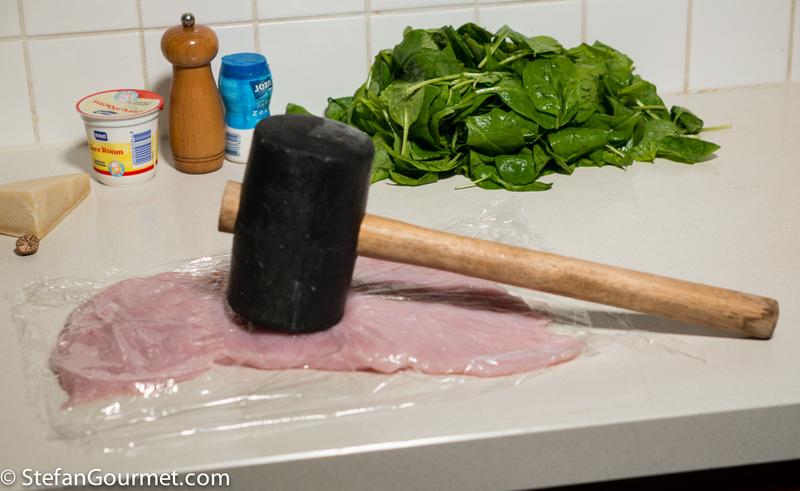 I really love the spinach preparation Stefan. This could be excellent with so many things. I might rob it for a beef SV dish for the weekend. With beef you could probably add some garlic in the spinach for additional flavor. We had it last night. It was delicious. The cut was cap of the rib. Devine. I know that cut, and it is indeed very good. It is not sold separately here, so the best I can do is buy a “rib steak”, and then separate it myself into ribeye and cap. I had to bend my butcher friend’s arm. Oh, and with Parmesan as well! Outstanding! I use a lot of pesto on chicken and turkey, but this sounds really lovely. Thank you for bringing the lean and healthy turkey away from its oft ‘holiday mode’! Love your way of presentation even if I do change ‘sous-vide’ for ‘steaming’ . . . works for me 🙂 ! Spinach makes it really ‘yum’!!! 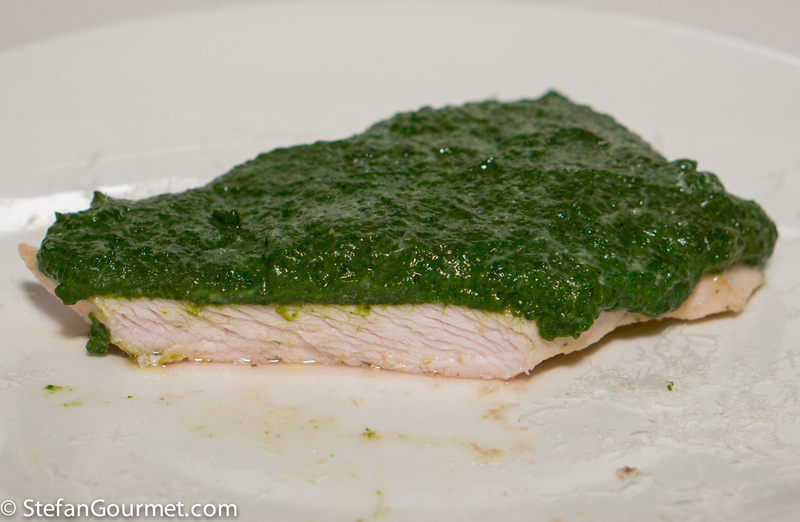 Oh wow, love the spinach treatment on the turkey! I might even steal this idea too, lol! You are right, turkey can be quite boring, but it seems much better with these creamy spinach. Thank you!